San Francisco, CA (June 2, 2014) - On Saturday, May 24th, Global philanthropist Bita Daryabari and speakers from around the globe gathered to celebrate the official opening of the Shahnama Centre for Persian Studies at Pembroke College in Cambridge, England. (Pembroke College is a constituent college of the University of Cambridge, England.) The $2 million (US) endowment by Daryabari ensured the creation of the Centre, which aims to encourage research on Persian literature, history and art. 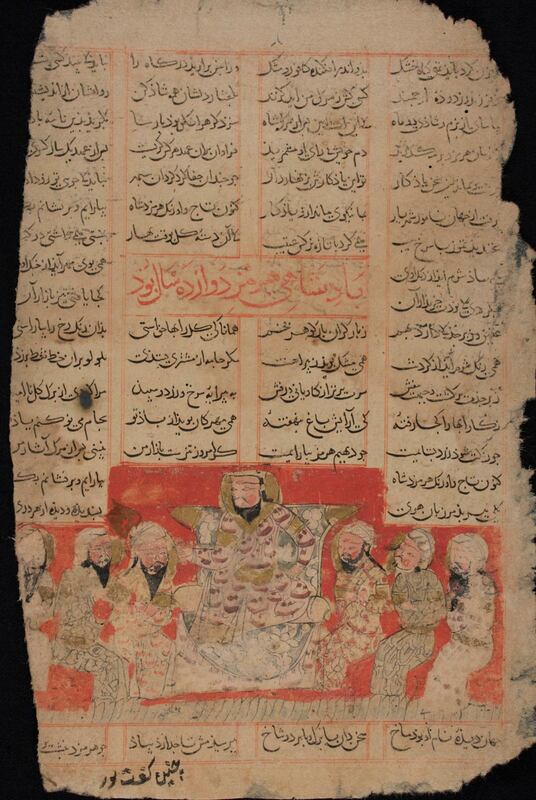 The Centre grew out of the Cambridge Shahnama Project founded in 1999 by Professor Charles Melville and originally funded by the British Academy. It has already accumulated an extensive library with the publications dedicated to Persian literary and visual culture, particularly related to the study of the Shahnama texts and their illustrated manuscripts, which are now kept in the museums and libraries all over the world. The new Centre’s director is Dr. Firuza Abdullaeva who joined the project in 2001 being a Professor of Persian at St. Petersburg University. SAN FRANCISCO -- (June 2, 2014) -- On Saturday, May 24th, Global philanthropist Bita Daryabari and speakers from around the globe gathered to celebrate the official opening of the Shahnama Centre for Persian Studies at Pembroke College in Cambridge, England. (Pembroke College is a constituent college of the University of Cambridge, England.) The $2 million (US) endowment by Daryabari ensured the creation of the Centre, which aims to encourage research on Persian literature, history and art. 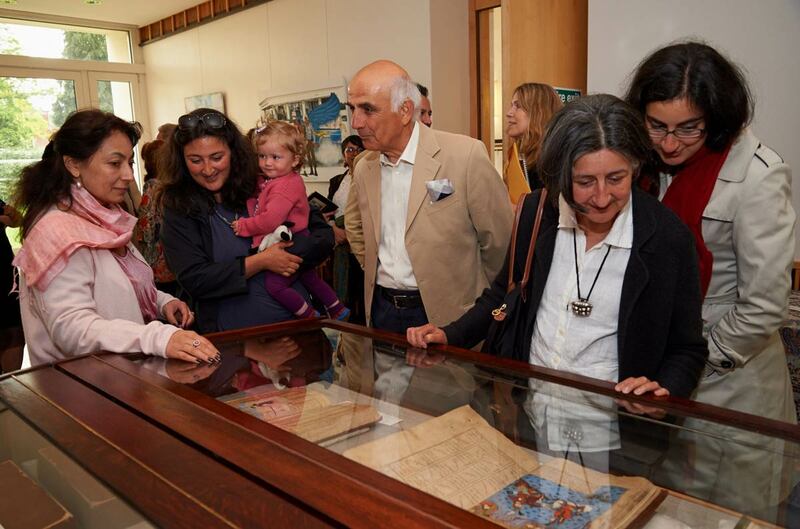 The Centre grew out of the Cambridge Shahnama Project founded in 1999 by Professor Charles Melville and originally funded by the British Academy. It has already accumulated an extensive library with the publications dedicated to Persian literary and visual culture, particularly related to the study of the Shahnama texts and their illustrated manuscripts, which are now kept in the museums and libraries all over the world. The new Centre's director is Dr. Firuza Abdullaeva who joined the project in 2001 being a Professor of Persian at St. Petersburg University. The benefaction will find the continued study of the Persian national epic, the Shahnama or The Book of Kings by Abu’l-Qasim Hasan Firdausi and its crucial role in the formation of the Iranian cultural identity throughout the ages to present day. The text of the Shahnama, based on the ancient Iranian mythology, was completed in 1010 and is the longest poem ever written by a single author in the whole history of humankind (40.000-80.000 double verses, depending on the version). The event, based in Pembroke’s Old Library, included an exhibition of Medieval and Contemporary art inspired by the Shahnama. Speakers included professors and students involved in Persian Studies at Cambridge, including Dr. Abdullaeva, Dr. Olga Davidson, Professor Touraj Daryaee and Dr. Sussan Babaie. All expressed an optimistic outlook for the future of Persian studies at Cambridge University. The Shahnama Centre currently occupies an office at 1 Fitzwilliam Street, opposite the portico of the Fitzwilliam Museum, which provides a window on the world and attracts many passers-by. Funding for the previous years was supported by grants from the Aga Khan Trust for Culture, the Sir Isaac Newton Trust, and the Iran Heritage Foundation. One Fitzwilliam Street houses a growing library of books and materials related to the study of Persian manuscript painting and the arts, especially regarding the Shahnama. The library is currently being catalogued and will soon be accessible online. The Centre aims to become a base for visiting researchers in the field of Persian culture, supplementing and supporting the resources and activities of the Department of Middle Eastern Studies in the University. The immediate priorities for the Centre include developing its website, updating the website of the Cambridge Shahnama Project, providing a base for the newly-appointed Fari Sayeed Fellow in Islamic Art at Pembroke, hosting lectures, organizing conferences, and supporting academic publications. It also aims to engage in outreach activities, such as concerts of Persian music, Iranian films and most particularly, exhibitions of Persian art. Its main task, however, is to manage and expand its research projects. For further information, please visit http://persian.pem.cam.ac.uk.